Commercial fleet customers of Mexico’s largest auto insurer will be able to track vehicles, supply customers with accurate and intelligent logistics, and improve driver safety. 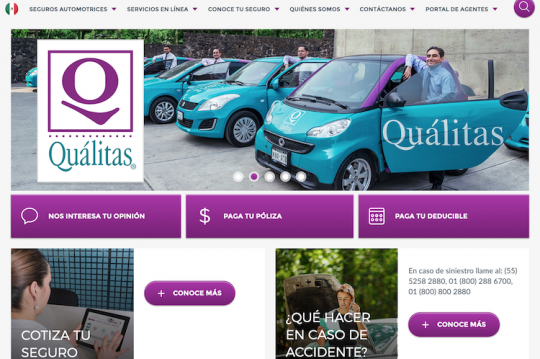 Qualitas (Mexico City), Mexico’s largest auto insurer with operations throughout Mexico, Latin America and the United States, has selected Octo (London) to develop the telematics market in Mexico by using Octo’s driving behavior analytics in the commercial fleet insurance. Margarito Villas, Director of Risk Prevention, Qualitas. Octo couches its contract announcement within the broader context of a growing global usage-based insurance (UBI) market, which Ptolemus recently reported had grown by 40 percent in a year, to 21.6 million active policies by the end of June 2018. 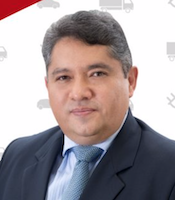 Octo will supply Qualitas with fleet telematics as the insurer expands its commercial offerings throughout Mexico with a new program, available to its customers in early 2019. The program will include risk management and asset utilization by leveraging driver behavior data and Qualitas’ commercial fleet customers will be able to track vehicles at all times, better serve customers with accurate and intelligent logistics, improve driver safety and prevent accidents, according to the vendor. Qualitas’ search for UBI solutions represents its recognition of a “wave of connectivity” reshaping various industries, and with the potential to transform the insurance industry in particular, according to Octo’s announcement. The insurer wanted a partner that understands the industry and its challenges, as well as offering a wide range of capabilities including scoring, analytics, and advanced crash detection and crash services, the vendor asserts. 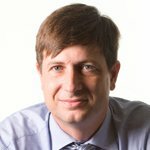 Geoff Werner, Americas Country Manager, Octo Telematics. Octo says that its telematics data will allow Qualitas to improve efficiency and productivity of its customers’ fleets by reducing fuel consumption, limiting unauthorized asset utilization and improving driver safety. The Octo fleet management console provides vehicle and driver behavior data at the individual, fleet segment or holistic fleet level. The management console will gives fleet managers the ability to locate vehicles, monitor performance and support drivers in real time with location, usage and vehicle health data.